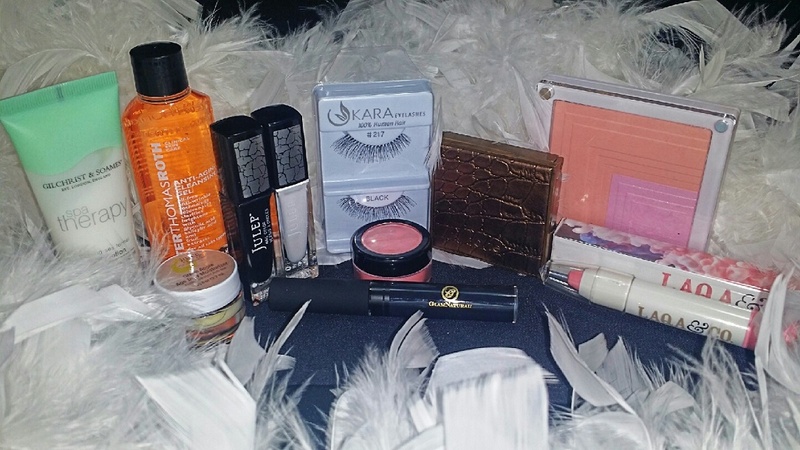 I received my Wantable Makeup Subscription Box a little earlier than usual this month! Wantable is now using UPS Mail Innovations, which I have had good luck with in the past. My box was ordered on the 24th of June and arrived today, June 28th. I’m very impressed as the boxes last month took about a week to arrive. And getting the box early means I get to review earlier! Hooray! A cute how-to guide for the perfect selfie! 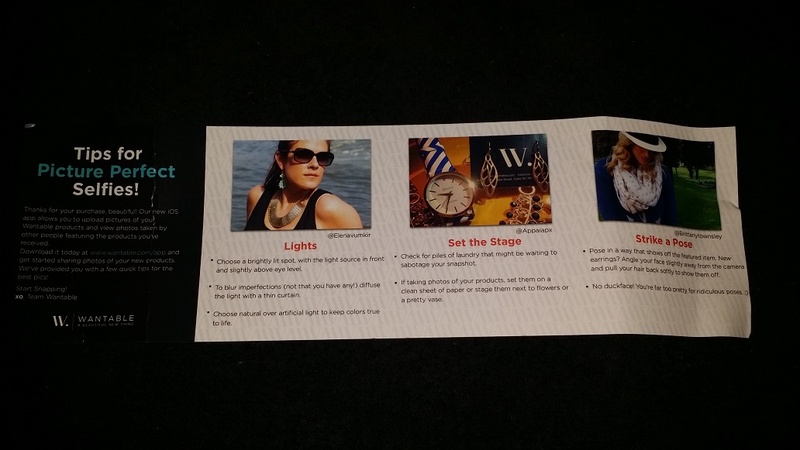 The first thing I saw when I opened my box was this super cute how-to guide with tips on how to get the Picture Perfect Selfie! 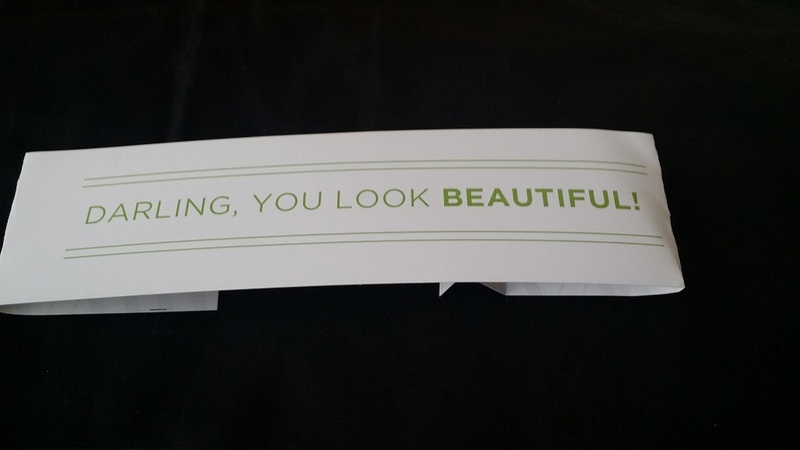 I thought this was a neat idea, but I miss my “Hello Gorgeous” style inserts. Also, the page was a bit too large for the box, so it’s wrinkled and torn in places. I change up my loves list nearly every month, just to make sure I have a lot of variation in my boxes. This month, my loves included Fair Skin, Cool Tones, Eye Shadow, Bronzer, Lip Color and Tools. My likes were Complexion Products and Lash Product. 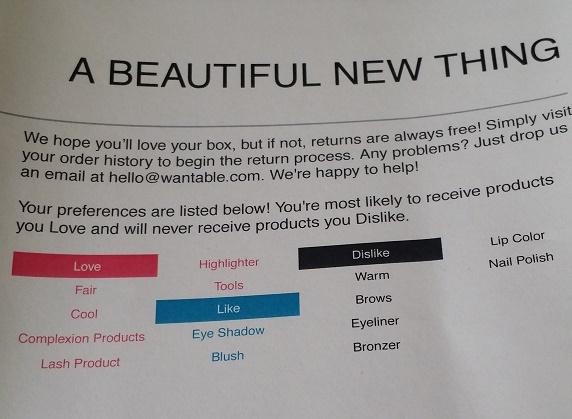 My dislikes (where you’ll never receive anything from) was Warm Tones, Brows, Eyeliner, Highlighter, Blush and Nail Polish. Don’t get me wrong, I love just about everything on the list, but I’ve got to keep them on their toes! Every Wantable box costs $40, or you can subscribe for $36 per month. This month’s box was worth a whopping $106.00! I received four items. Three were off my loves list, one was off my likes. And let me tell you right now, I loved my box this month. I’m not afraid to shout from the rooftops when something seems lackluster, but this was perfect for me. I’m absolutely in love with makeup brushes. I’m constantly purchasing new ones and trying them out. And this month, I received a makeup brush from Tarina Tarantino and one from Vincent Longo! 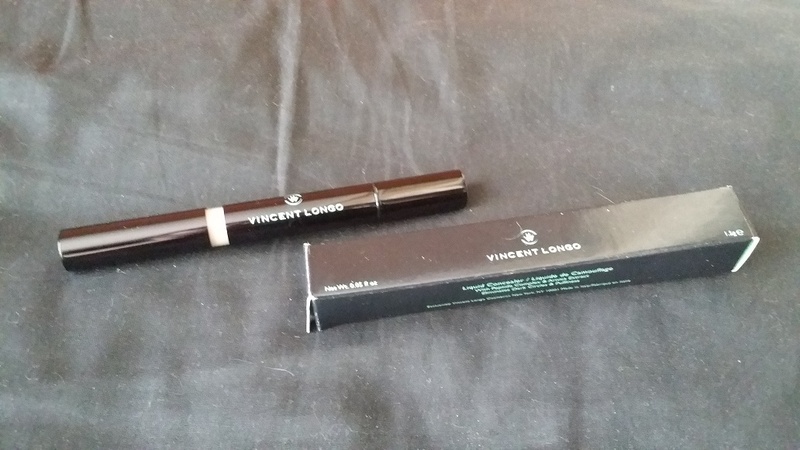 I have some Vincent Longo products already from last month’s box, and I really have been impressed so far, so I’m really looking forward to trying out that brush. Tarina Tarantino though, I’ve never used. 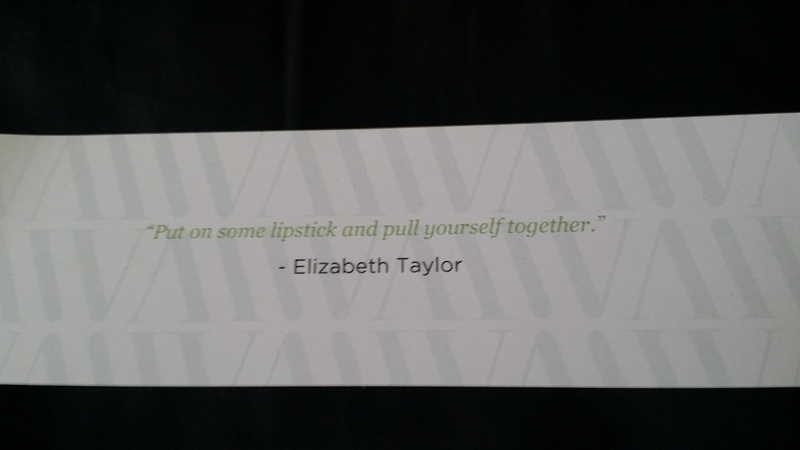 But I suppose that’s okay, because I got three products from her this month! 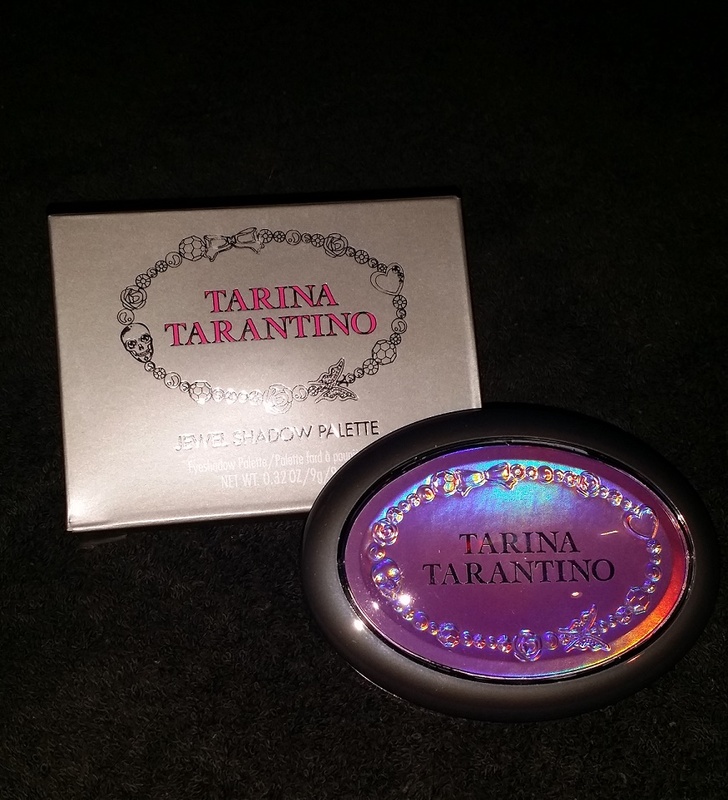 My first item this month was a Tarina Tarantino Pigment Brush, #43. While I couldn’t find this individual brush on her website, it shows on my invoice as being a $25.00 retail value. It has very soft, synthetic bristles and a really cute pink design. The ferrule is a deeper shade of pink with a little bow accent in silver. It came in a small pink bag that closes in the back. I can always use a new all over shadow brush, and this one picks up colors quite well. It seemed to really hold onto the pigment that I dipped it into. This will be going into my everyday makeup brush roll! 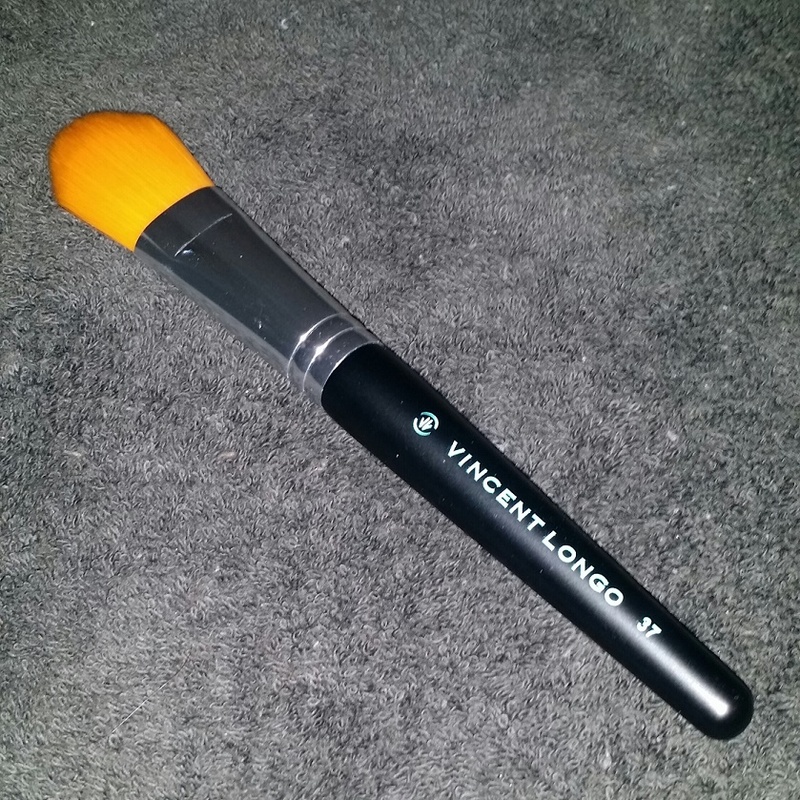 The next item in my box, also a brush, is a Vincent Longo foundation brush, #37. This retails for $30.00 on the Vincent Longo website. It has long, soft, synthetic bristles and seems like it would evenly apply any liquid or cream face products. I haven’t tried it out yet, but I’ll definitely give it a shot! I normally use my Beauty Blender for foundation, but I’m always up for new things. I think the design of the brush is very sleek and well done. I love the Tifffany blue accents, and it seems sturdy and well-put together. Tarina Tarantino Fleur De Lash! 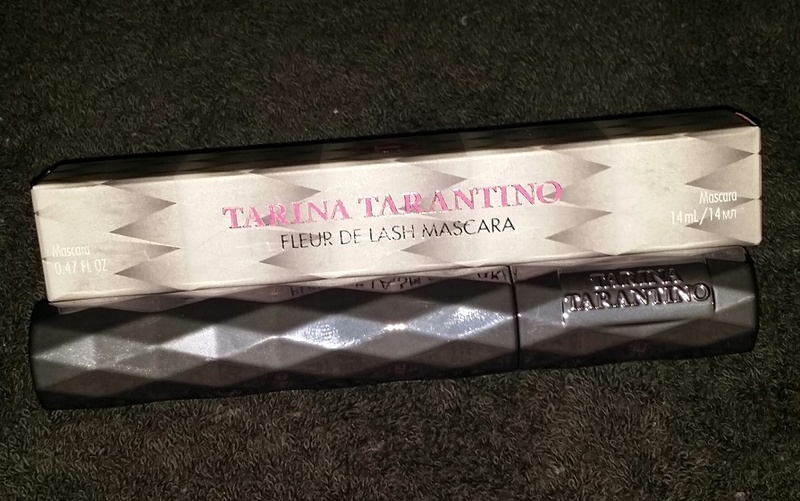 I’ve actually been in the market for a new mascara, so I was definitely happy to see the Tarina Tarantino Fleur De Lash Mascara in my box. This mascara retails for $19.00 on the Tarina Tarantino website. While this was off of my likes list, I’m glad they included it! It’s a lovely, deep, true black. When it’s applied to your lashes, it can be very natural, but lengthening. You can build up the coats as well to make a more dramatic statement. The formula includes awesome ingredients like shea butter and jojoba oil, which are moisturizing and beneficial. And don’t even get me started on that amazing packaging! I love the gunmetal color, and it shimmers like a jewel. This will be going on my vanity to display! 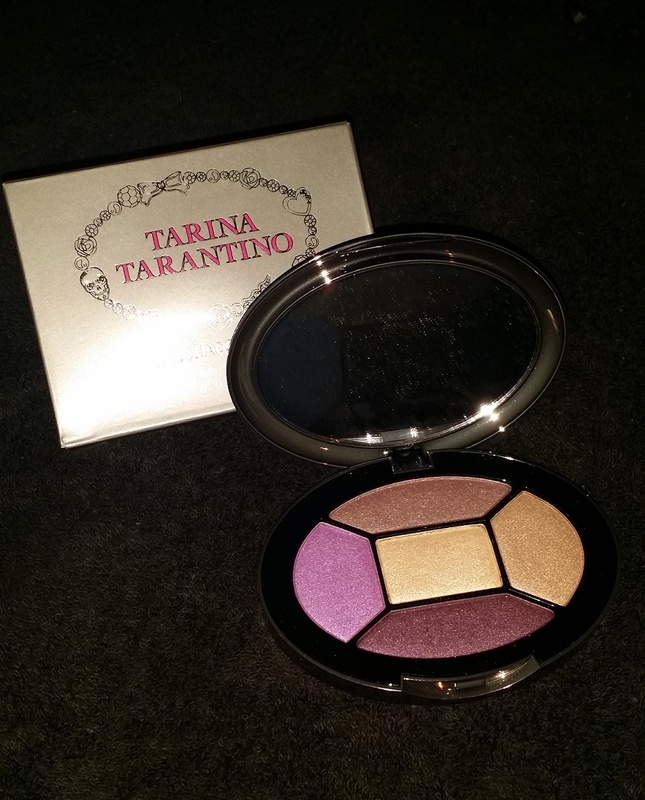 This is probably my favorite item out of the entire box this month, the Tarina Tarantino Jewel Shadow Palette. It retails on the website for $32.00. A gorgeous little compact with five shimmery shades, this is perfect for putting in your purse! 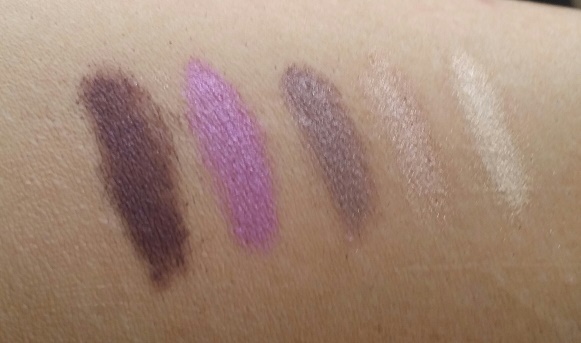 The colors are all very pigmented and oh-so-soft. I think this will be amazing on my brown eyes! I can’t wait to do some purple looks this summer. The packaging is to die for, with little skull accents and a shimmery purple lid. It does feel a little light, so I’m worried about dropping it because I don’t think it would last. With how smooth the shadows are and how funky the packaging is, this is one palette I’ll be very careful with, because I want to have it for a long time. Overall, I’m exceptionally happy with this month’s Wantable box. I will use every product in it regularly, with the exception of the foundation brush, but I’m sure I’ll find a use for that as well. I find foundation brushes like this, that are synthetic and soft, are excellent for applying face masques with. The full value of the box, as I mentioned above, was $106.00 USD. That’s $70.00 more than what I spent, and I got to try out some new products I may not have grabbed for myself! I hope this review helped you out! Let me know in the comments what your thoughts are, and what you’d like to see next. A quick review and tutorial of how to use the new Benefit Push Up Liner to create a winged eye look! A quick review and look of the day! 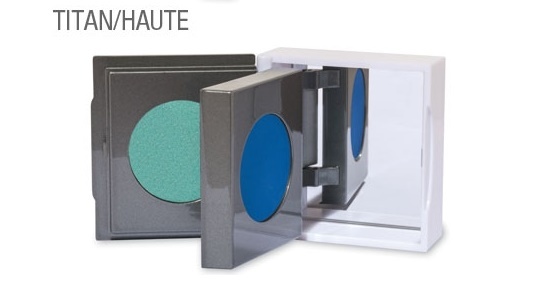 In my Wantable subscription box for May, I received an eyeshadow duo from Mirabella in the colors Titan and Haute. They’re a gorgeous, highly pigmented pair. 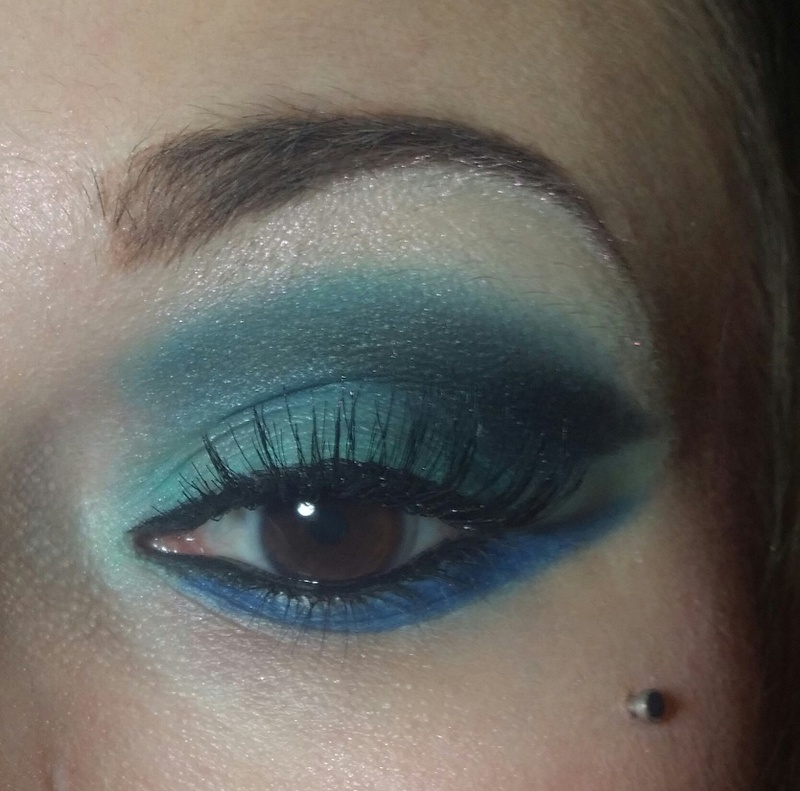 Titan is an icy pale blue shade, and Haute is a deep matte blue. The colors complement each other quite well and I’ve been really happy with them so far. 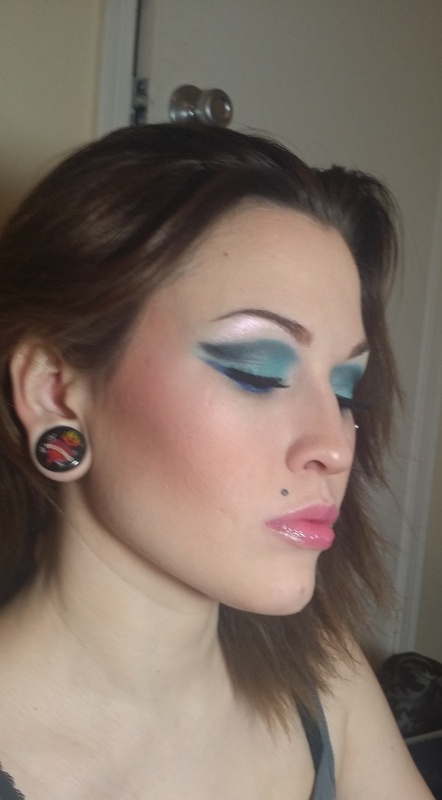 I normally go with dark colors on my deep brown eyes, but sometimes you need to really shock with a blast of color. While I wouldn’t have chosen these two for myself, I’m glad they came in my box. One of the biggest reasons why I love subscription boxes is because they give me a chance to try new things that I normally wouldn’t purchase on my own. The pair come in a small, white, hard plastic container that clicks shut. The pans are magnetic, so you can remove them and replace them as you’d like. I think this is an amazing concept, as the amount of shadows I go through in singles in ridiculous, so I normally buy palettes instead to try and reduce waste. The duos go for $28.00 on the Mirabella website and there are currently two different sets to choose from (although you can always replace them with others). I found these had minimal fallout upon application, were very smooth both with and without a primer, and had excellent staying power. I left my makeup on for about six hours and the look never smudged or creased at all! It was as vibrant when I went to take it off as it was when I first applied. I wouldn’t go so far as to say that they were buttery smooth, but they weren’t chalky at all. 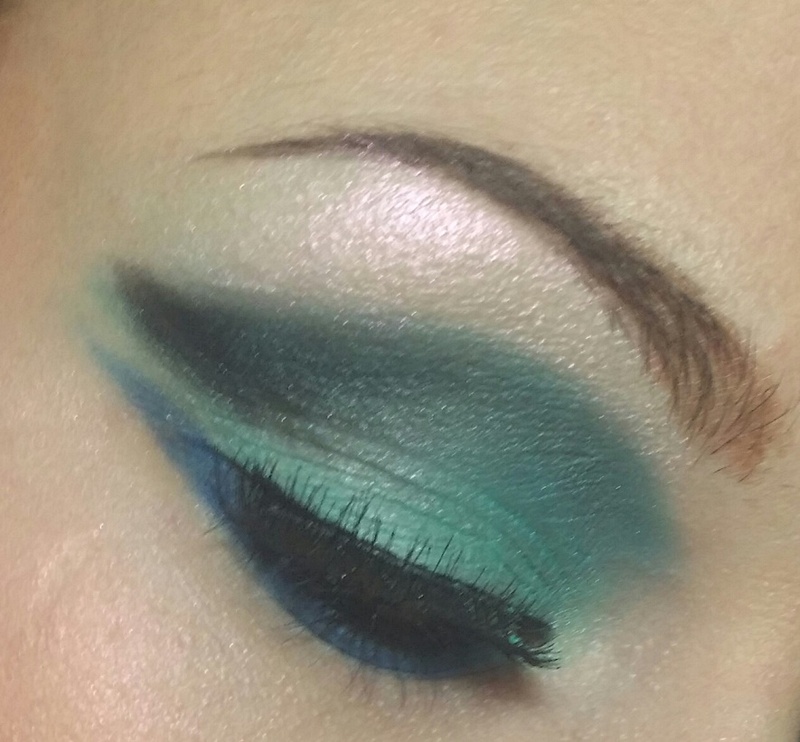 It was a happy medium that left for clean application and a nice, lightweight feel on my lids. 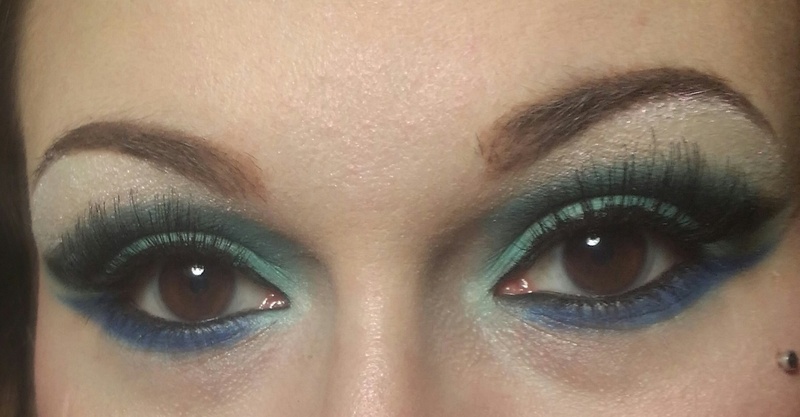 Sometimes after a few hours, I can feel like my eyes are suffocating under the weight of the dramatic looks I do, but not with these. Packaging: 10/10 – I love that I don’t have to toss the whole package when I’ve finished, and I can continue using the same one and replacing colors as I finish them. The case snaps closed and won’t pop open, keeps your shadow safe, and since it holds two, it would be wonderful to travel with instead of bringing a whole palette or multiple singles. It’s very sturdy and has a small mirror inside to check for touch ups. Application: 8/10 – Soft enough to apply well, but not so much that they had crazy fallout, I was a big fan of the application of these. I will say that when you blend, these can blend completely into nothing. I always say that if you think you’ve blended enough, blend some more, but you do want to be careful with these or you’ll lose all color. Longevity: 10/10 – These lasted six hours on without smudging, fading or losing any of the vibrancy they had when I first applied. These are definitely an excellent purchase for anyone looking to add a bright pop of color to their daily look, or for a super intense eye. They blend easily and look great when used together or alone. 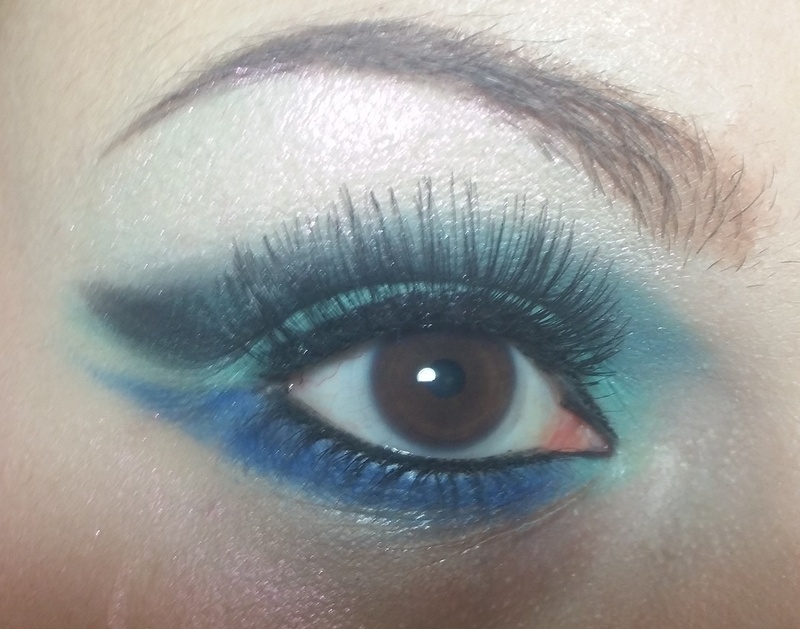 Eyeliner applied over the top goes smoothly and doesn’t feather into the powder. I’d recommend these for just about anyone. With a white eye base, you could pull these off as bright as they are in the package, or go neutral for a softer outcome. I hope you enjoyed this super quick review and learned something new! Let me know what you thought and what you’d like to see next in the comments below, and be sure to subscribe to always be on top of what’s new and trending in the beautiful world of makeup and style! You’ll need to go to http://www.Facebook.com/BeautyBombs to enter, all the rules are pinned to the top of the page! This month I wanted to kick things off right by doing a review on one of my favorite makeup subscription boxes, Wantable. They went all out this month with some amazing complexion products, falsies, highlighters and skincare! This month I changed it up a bit. My Loves list was all about complexion, lashes and highlighters. They definitely delivered! I received nothing from my Likes or Dislikes lists. If that isn’t some of the best advice ever, I don’t know what is. 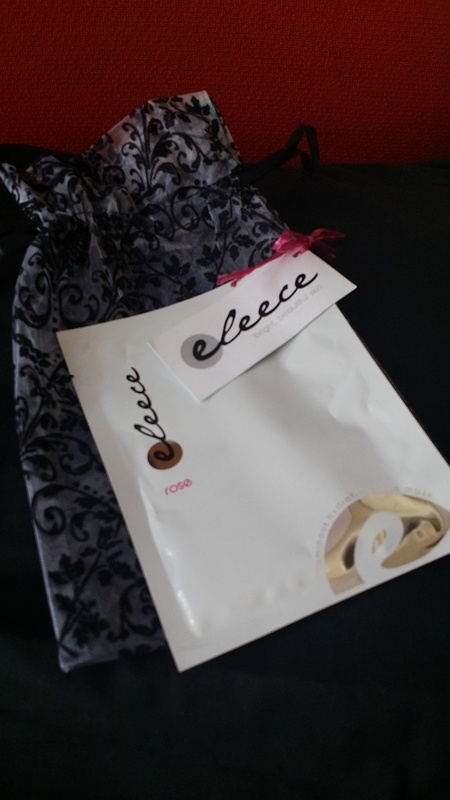 I received two of these face masks in a beautiful black and white mesh bag, that has lovely flower details all over. I’m going to use the bag in the future, I’m sure, either as a gift bag or to store things in my purse. I love packaging, I’ve said it a million times! The mask itself is one of the actual masks, where you take it out, unfold it, place it on your face and let it absorb for a certain amount of time. Reading the instructions, I kneaded the bag a few times, then removed the mask. I put it onto my clean face and let it sit for about 25 minutes and then removed it, using circular motions to massage the remaining product into my skin. This mask has an extremely strong rose scent. That may be pleasant to some, but I felt a bit like Katniss, being smothered by President Snow’s roses. I felt it was difficult to keep on my face if I wanted to do anything else, so I ended up just lying down for the time it was on. I really didn’t like that, as I’m quite active and usually when I have masks on, I can at least read a book or use the computer, but with this, it seemed like the slightest movement would lift parts of the mask off of my skin. When the time was up, I removed the mask paper, rubbed the remaining product into my skin and even down my neck and chest a bit, as there was a lot. I noticed immediately that the slight scarring I have on my face was lightened considerably. My whole face looked much, much brighter! I’m very impressed with that, as most products that brighten skin have a tendency to leave you a bit dried out as well, but not this. I felt hydrated throughout the day, and even going into today, I feel moisturized and fresh. I’ll definitely be using the second mask, probably before an event or a big makeup day. If I’ve said it once, I’ve said it a thousand times, I love highlighters. I feel like my look is never complete until I’ve brightened up my cheekbones. This is a gorgeous, sheer color that leaves a hint of shimmer wherever you apply it. It looks white in the container, but leaves no real color on your skin, just a healthy glow. The jar has a sifter lid that you can twist to shut, which is great since I spill products a lot, this will help reduce the amount of makeup that’s already on the floor in my vanity area. 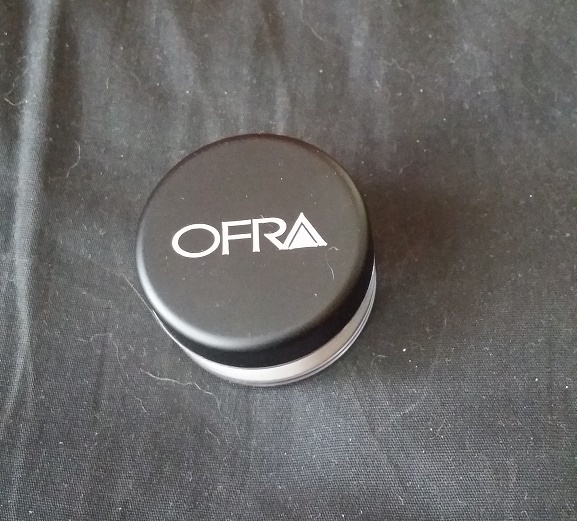 I’d never heard of Ofra before, but their products all seem to be reasonably priced for a good amount. This sifter jar contains 5 grams of product, and since it only takes a little bit, I could see it lasting a long time. When I used it with other products, such as blush and my contour shades, it blended beautifully. There was little to no fallout, it stayed precisely where I placed it. I’d highly recommend this to anyone looking for a shimmery highlighter. It only comes in one universal shade, but since the color is so sheer, I think it would work well on anyone. I can’t wait to try it out when I’ve gotten more color on my face this summer! If you’ve been following my page, you’ll know that I’ve recently gotten contact lenses, and with that, I’ve developed an obsession with falsies. I must have fifty pairs of them in my collection at the moment, but that doesn’t mean I’ll ever say no to more! These are a very subtle style, something that would go well with a “no makeup” makeup look. They aren’t quite as dramatic as most of the lashes I wear, but I can definitely see a use for them in my arsenal. 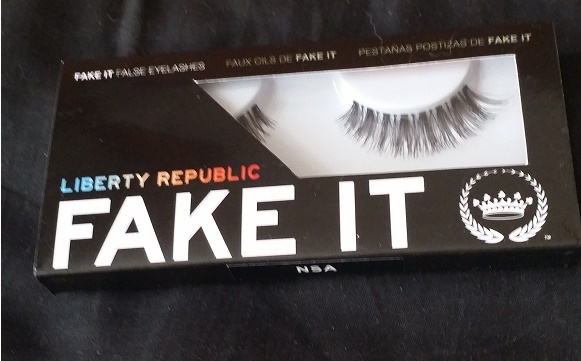 Right now they’re on sale for $4.00, which is comparable to many drugstore lashes. They have a very thin, clear band, which I love. They’re made from 100% human hair, my favorite! Synthetic and mink lashes just don’t compare to the look and feel of human hair. They feel very light, and while I’ve not tried them yet, I think they’ll end up being super comfortable while on. Looking through their other styles, I think I may have found a new brand to try! This wasn’t actually listed on the packing slip this month. 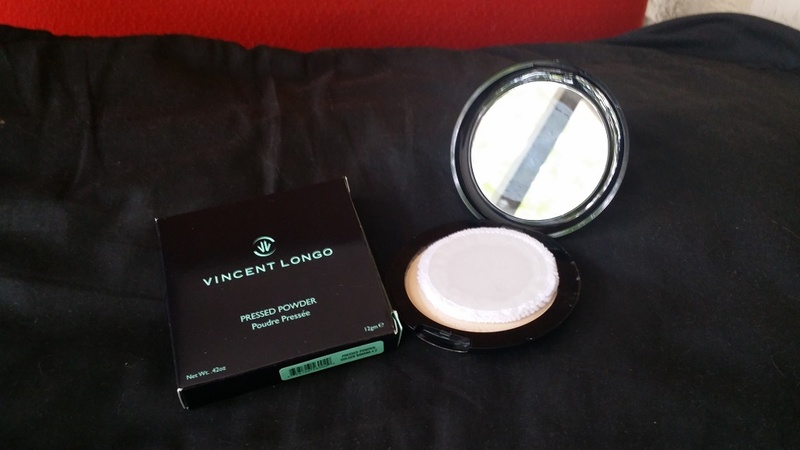 Instead, I was supposed to receive a Vincent Longo blush. However, I’m much, much happier with the concealer, so I’m not going to complain! This is one of my absolute favorite products this month, and I cannot rave enough about how impressed I am. 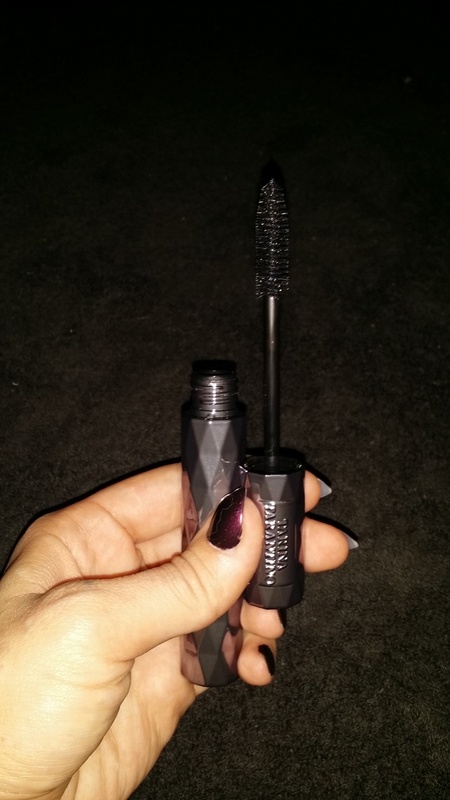 It has an angled, felt tip applicator and you twist up from the bottom to push the product through the little holes. I’m always on the hunt for the perfect concealer, and this is just so unbelievably amazing. It contains two different peptides, one to help reduce puffiness under your eyes, and the other to help diminish dark circles. Beauty products with a skincare base? Oh yes, please! It also contains arnica to improve blood circulation and to help minimize discoloration. I found that this color matches my skin perfectly and conceals easily. I don’t have to cake it on to cover up blemishes and imperfections. It also photographs well, blends easily with liquid or powder foundation, or can be worn alone. I wore it for a solid eight hours yesterday over an area on my cheek that has broken out (thanks, new birth control), and it didn’t come off until I used my oil cleanser. I can’t recommend this product enough. If you’re tired of having crease lines under your eyes from concealer, or if you’re looking for something that doesn’t just conceal, but heals as well, then this is the product for you. I think I may have to stock up on this new Holy Grail concealer! This is another product I’m thrilled with. It’s difficult for me to find foundation and powder that isn’t pink toned. Being very fair skinned, it’s always a challenge! Not all pale girls are pink! I have yellow/neutral undertones, and this matches me exactly. I’ve never had a pressed powder that blended into my skin so seamlessly! The powder is triple milled with real silk fibers to be super smooth and soft. It doesn’t look heavy on my skin and could be used alone or over foundation. It feels so lightweight, but gives amazing coverage. I was able to wear it alone for about four hours without it fading at all. It also didn’t rub off on my clothes, and there was minimal fallout with application. I’m not a big fan of the velour pouf, as it just felt cheap to me. I could easily use any other pouf from the drugstore for the same quality. I do think it has very easy application, and is fool proof for anyone that’s just starting to branch out into full face makeup. The range of colors is diverse, and is also much different than what you normally find on a shelf. However, if you are one of the pink-toned pale ladies, then this probably won’t work as well for you. I could see it being used as a touch up powder, or being used to set concealer, as the yellow tones in it will help to neutralize any redness you may have. I also really love the packaging. The Tiffany Blue accents are really cute, the compact is very thin and will not fall open in your purse, and the mirror is very nice. Some mirrors are better than others, and this one is definitely top quality. The full retail value of my box this month was $108.99!!! This is the highest valued Wantable box I’ve received so far, and I am seriously beyond impressed with it. I’ve discovered at least three new brands that I will purchase again, (Ofra, Vincent Longo, Liberty Republic), got to try some new fun skincare (Eleece), and I couldn’t be happier with this! While the blush wasn’t included, I’m much more pleased with the concealer I received. I’ve got plenty of blushes, but it’s not every day you find your dream concealer! What all did you receive in your Wantable box this month? What other subscription services do you use? What would you like to have me try next? 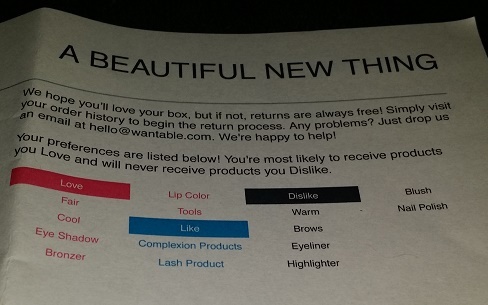 Disclaimer: I received this month’s Wantable Makeup Subscription Box free of charge in exchange for an honest review. This has not changed my opinions on the products received. For any other questions, please contact me at Brenna.Bombshell@Gmail.com.